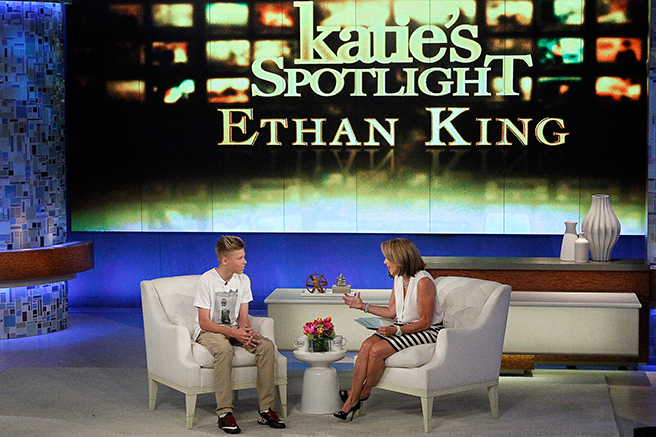 A few weeks back I flew to New York and did an interview with Katie Couric on the Katie Couric Show. First, I want to say that Katie is one of the coolest, nicest people you’ll ever meet. She’s a lot fun and obviously cares about the world and the needs of others. 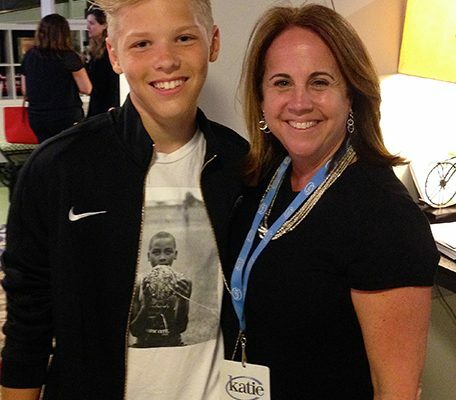 Katie’s team is also amazing – especially producer Lori Beecher. The entire team treats you like you’re the most important person on the planet. 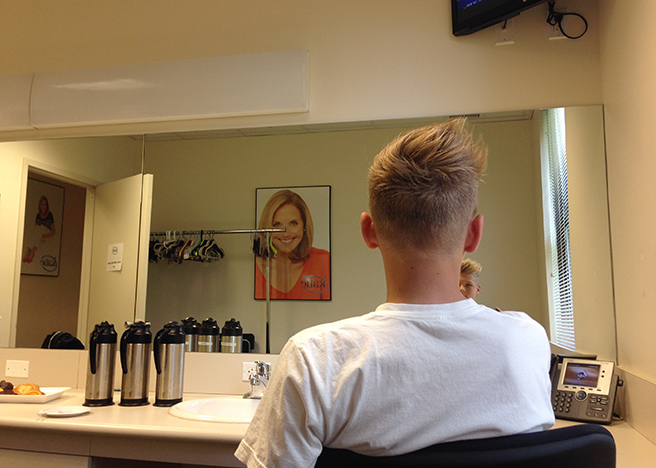 Prior to the interview I spent about an hour and a half in an ABC green room. Every 5-10 ten minutes Lori or one of Katie’s other producers would come down and check on me. Gearing up for the show is sort of like gearing up for a big game. Your heart pumps fast and you do all you can to focus yourself on what’s in front of you. 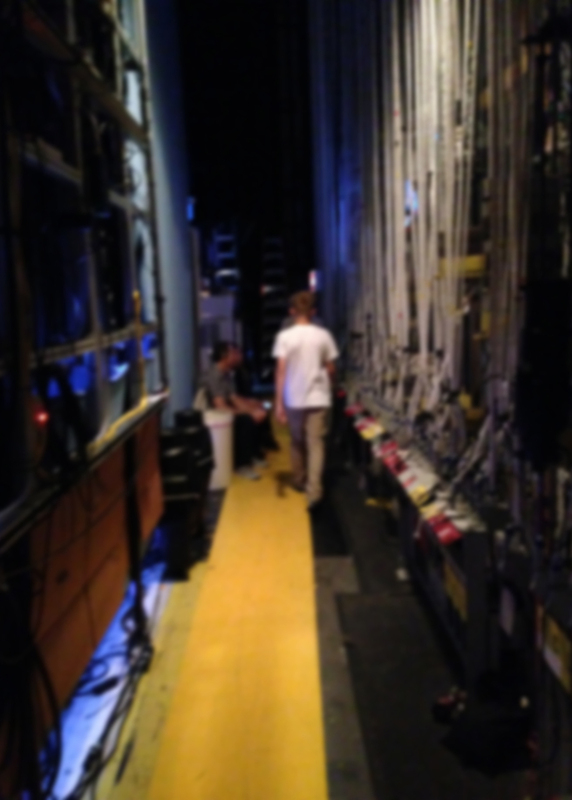 As I walked down the stairs and behind the set, I could feel the butterflies starting to move around in my stomach. They checked my mic, set me up with a little makeup and gave me a quick overview of when and where I needed to go. When I finally entered the stage, and sat down in the chair across from Katie, it was like the game had started. The adrenaline kicked in and I felt right at home. Honestly, it was a lot of fun! 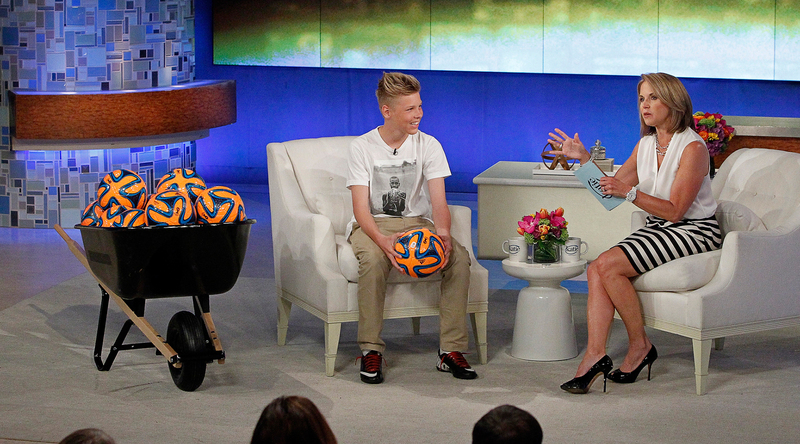 The best part was right towards the end of the segment when a stagehand brought out a wheelbarrow full of soccer balls. 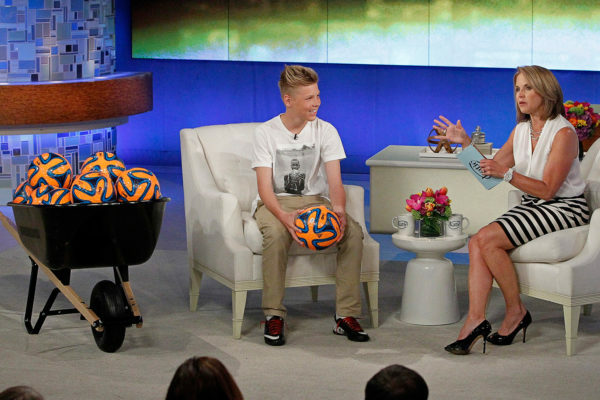 Katie said that Johnson & Johnson loved what we were doing and was giving 500 soccer balls to Charity Ball that would be donated to kids in Brazil. How sweet is that? 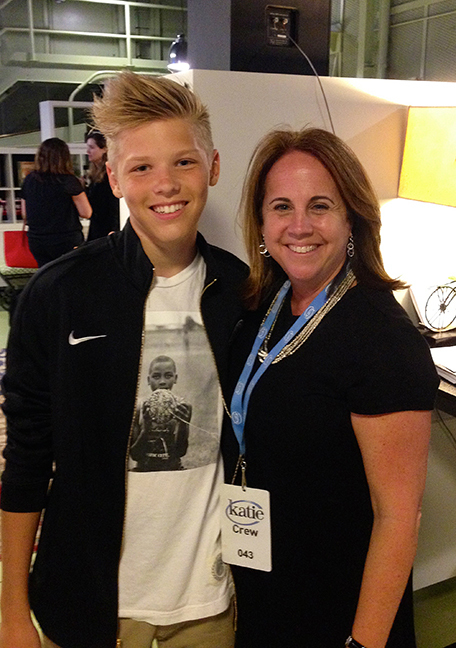 I want to thank Katie and her team for the cool opportunity and the meaningful experience. 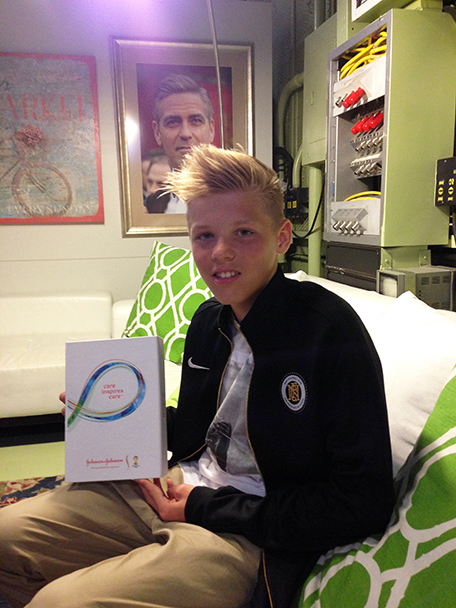 I also want to thank the folks at Johnson & Johnson for the distinguished honor of being named a Champion of Care.